We are glad to announce a very friendly offer from Forum Media, the owners of the Eye. Booking from THIS site you will get the following December voyages 10% off if booking one - 15% if booking two of them! If you would like to leave the winter behind without having to fly long distances, like to experience traditional sailing like Cristopher Kolumbus, Alexander von Humboldt or Charles Darwin then you should come on our journey in between the Canaries. On the islands of the everlasting spring you can expect sunny and mild climate all year long. The Eye of the Wind will take you on a tour through sub-tropical vegetation and volcanic desserts, through great mountains and volcanoes, green valleys, traditional villages and lovely cities. 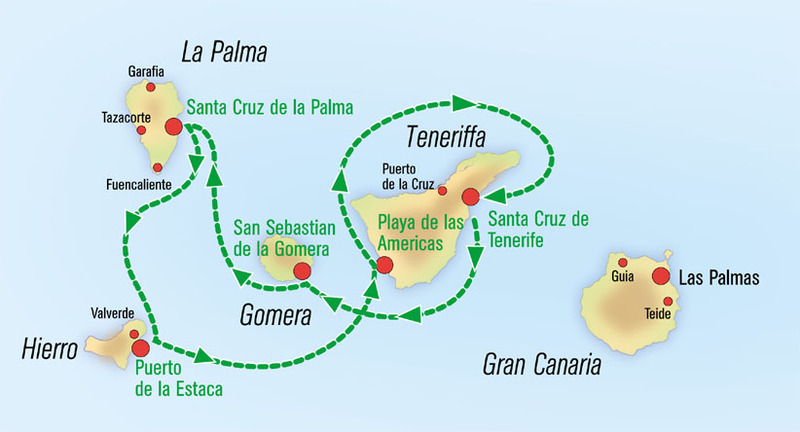 The Canaries charm will also enchant you with its deep blue sea and the warm wind that is blowing over the Atlantic Ocean. Already the famous natural scientist and geographer Alexander von Humboldt was overwhelmed by Teneriffas beauty. 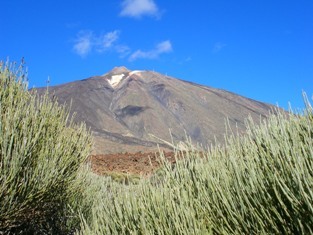 This gorgeous island overtopped by Spains highest mountain which is the Pico del Teide (3.718 m). A little bit lower at a height of 2000m above sea level you can find the impressive crater landscape "Las Cañadas del Teide". Next to the bizarre rocks of Caldera, pinewoods and fertile valleys dominate the landscape which is also characterized by blooming Bougainvillea, Hibiscus and Poinsettias. 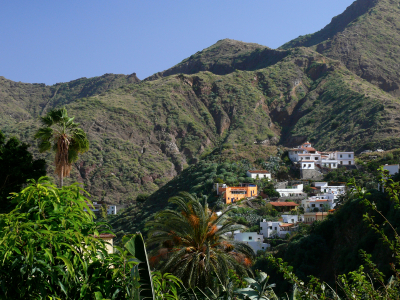 As second smallest island of the Canaries is La Gomera with its romantic landscape, lusty valleys, unique flora and typical villages. As departure point for Kolumbus' journey to the "New World" the islands capital San Sebastian is known. With their whistling language� El Silbo the inhabitants of La Gomera have developed a worldwide unique language with which they were able to communicate over long distances. Parts of the inhabitants of the island are still able to talk in this traditional language. 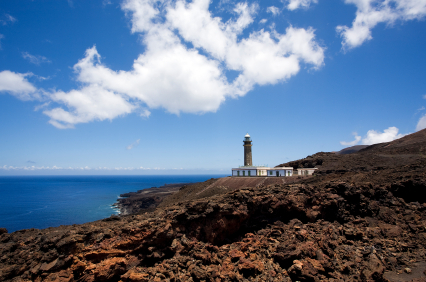 The "Isla Bonita" (La Palma) is the green jewel in between volcanoes and ocean. On very little space you will experience the most different landscapes such as dense cloud forests and dry coastal areas. Relax and enjoy the stunning view on this beautiful landscape. In the center of the island you can find the national park "Caldera de Taburiente" one of the largest erosion crater of the world. 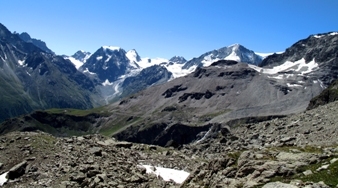 A circle of peaks with 1700m to 2400m of height surrounds the crater of 9 km diameter. There is still very close volcanism to experience in the southern part of the island. The last volcanic eruption took place in 1971 wherefrom the volcano Teneguía originated. In the south of the island there are still many still active underwater volcanoes. El Hierro the most southern spot in Europe is the smallest, in earth's history youngest and at the same time most original of the Canaries. The isolated position was already noticed in the 2nd century when the Greek nature scientist believed that this must be the most western spot in the world and therefore named the West Cape "Fin del mundo� (=End of the world). Therefore also the prime meridian was drawn through this spot (Punta de Orchilla) on the west cape of this island in the 17th century and only in 1884 was replaced to go through Greenwich. On this island you can not only find a "Oasis of quietness" but the island also fascinates by its landscape and geological variety. An interesting program with land tours to the cultural highlights, small hikes, wine tasting and special food will show you the multiple faces of the island. Meals and accommodations are included in the price. Not included are arrival, land tours and alcoholic beverages. Accommodation occurs as customary in 2-Person-Cabins. If you wish there will be the chance to get a Single cabin for an extra charge (please request beforehand).